Baylor University enjoys high standing among many national rating services that evaluate quality of education, research activity, affordability, baccalaureate value, and athletic excellence. These rankings recognize not only Baylor as a whole, but also our many respected schools and departments, which are led by our gifted, award-winning professors. Their awards are too numerous to include. In 2016, 86.5% of students found a job or started graduate school within 90 days of graduation. Baylor's dedication in placing students after graduation further demonstrates the institution's commitment to the success of Bears beyond their time in the classroom. U.S. News & World Report ranks Baylor No. 78 on their annual review of colleges and universities. Baylor is a Tier 1 school among national universities. The magazine also lists Baylor University as No. 44 in the Best Colleges for Veterans ranking, No. 57 among Best Value Schools, and No. 73 on their list of High School Counselor Rankings among national universities. Schools in the national universities category offer a full range of undergraduate majors, master's and doctoral degrees. These colleges also are committed to producing groundbreaking research. Kiplinger's 2018 list of Best Values in Private Colleges ranks Baylor as No. 61 in the nation. The rankings consider academic quality and affordability. The Fiske Guide to Colleges, a best-selling resource for college-bound students and their parents, lists Baylor University a "Best Buy" for 2017. Baylor is one of only 47 public and private colleges and universities in the United States, Canada and Great Britain to earn the designation. Baylor was one of only 23 universities nationwide to receive an "A" from the American Council of Trustees and Alumni in a 2015 report that gauges an institution's commitment to general education: composition, literature, foreign language at the intermediate level, U.S. government or history, economics, mathematics, and natural or physical science. For the seventh time, Baylor University has attained elite Honor Roll status as a “2018 Great College to Work For,” according to a new survey by The Chronicle of Higher Education, a top trade publication for colleges and universities. Baylor is included in the large university category with 10,000 or more students. In the 2017-18 Learfield Director's Cup standings, Baylor ranked No. 43 in the nation. Baylor placed fifth among Big 12 universities, indicating the strength of the overall athletics program at Baylor. 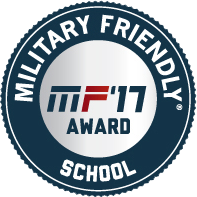 Baylor University earned the 2017 Military Friendly School designation by Victory Media, publisher of G.I. Jobs, STEM and Military Spouse. The Association for the Advancement of Sustainability in Higher Education (AASHE) recognized Baylor University as one of the top performing colleges and universities in the 2015 Sustainable Campus Index, as measured by the Sustainability Tracking, Assessment and Rating System (STARS). The report also highlights best practices and sustainability innovations from more than 50 U.S., Canadian and Mexican institutions that have submitted a STARS report in the last 12 months. Baylor received Silver designation for its sustainability efforts and was named among the Rising STARS for demonstrating significant commitment to advancing sustainability. Baylor is listed in the 2015-2016 Colleges of Distinction publication for its innovative, teaching-centered, undergraduate education and its strong record of preparing graduates for real-world success. School of Engineering Baylor's engineering program's graduate engineering program debuted at No. 127 in the 2019 U.S. News survey of engineering schools that grant doctoral degrees. College of Arts & Sciences Baylor's Department of Environmental Science ranks No. 30 in the nation based on the Academic Analytics 2017 database. Hankamer School of Business Baylor's Hankamer School of Business was ranked at No. 59 in the 2019 U.S. News survey among the top-rated master's programs in business accredited by AACSB International. In all, 480 MBA programs were surveyed. The MBA specialization in healthcare administration was ranked No. 17 in the 2015 U.S. News survey** of health care management programs. The graduate program in entrepreneurship debuted at No. 24 in the 2019 U.S. News survey. School of Music The American Prize awarded the Baylor Symphony Orchestra for the best recorded performance by a collegiate ensemble in the United States for 2014. Louise Herrington School of Nursing The master of science degree in nursing (MSN) program at the Louise Herrington School of Nursing in Dallas is ranked No. 72 in the 2019 U.S. News survey**, while the school’s online master’s degree program in nursing was ranked No. 39 and the doctor of nursing practice (DNP) program ranked No. 54 in the same survey. College of Arts & Sciences Academic Analytics data from 2016 places Baylor’s Philosophy PhD program in the top quartile nationally in the percentage of faculty with a book publication. Equally impressive, the firm's ranking of overall faculty scholarly productivity (publications, citations, books, and awards) places Baylor's Philosophy PhD program in the top 40 nationally, along with much older and more established programs such as Stanford University. College of Arts & Sciences Counseling Psychology ranks Baylor's Department of Psychology and Neuroscience's Psy.D. degree program No. 15 nationally, and BestCounselingDegrees.net lists the department's Psy.D. degree program in Clinical Psychology as No. 1 nationally. College of Arts & Sciences According to Academic Analytics data from 2016, Baylor's doctoral program in religion ranked in the top 10 nationally in total book publications and in overall productivity, which places Baylor at the same general levels as programs such as Duke University and Yale University.